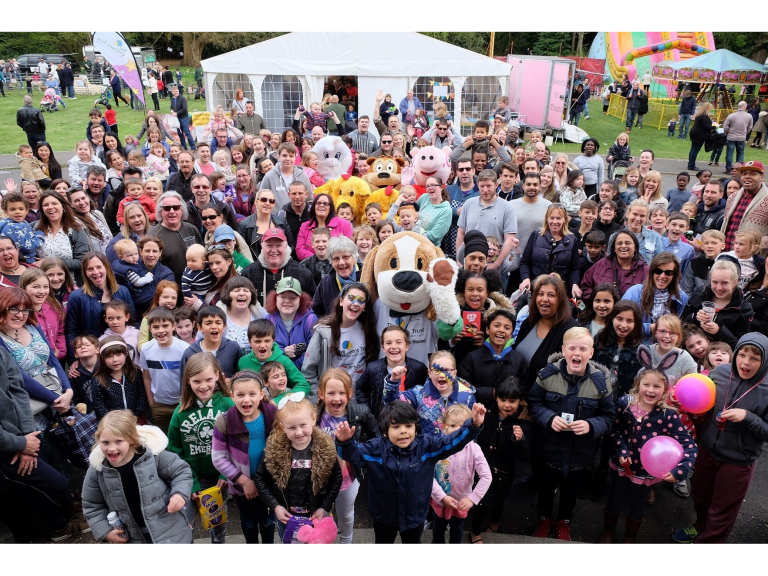 Actress Emily Carey launched a new fundraising campaign, #MyBrave, at The Children’s Trust Easter Fair in Tadworth on Saturday 15 April. 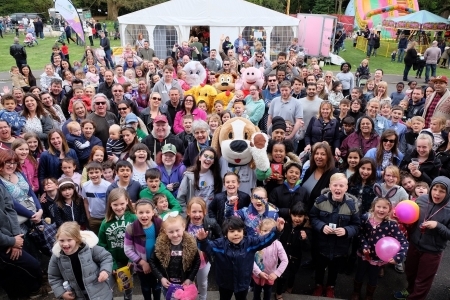 The event, which raised over £10,000, pushed Emily out of her comfort zone by challenging her to confront her fears, as part of the campaign which calls for supporters to do something brave to help raise money for children with brain injury. 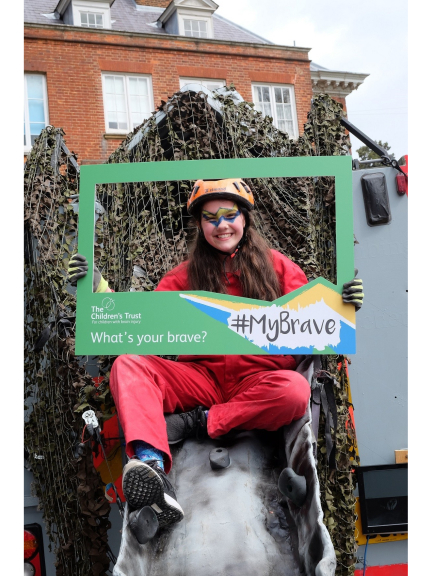 Known for her role as Grace in Casualty (BBC 1) and set to appear in the forthcoming film Wonder Woman, Carey took on a series of #MyBrave challenges which were open to the 2,000 members of the public who attended the event. The challenges included climbing a 24ft climbing wall, a claustrophobic cave experience, holding a creepy crawly and putting her hand in mystery ‘brave boxes’ which were made by children at the rehabilitation centre. Every year more than 40,000 children in the UK are left with a life-changing brain injury as a result of an accident or illness. Specialist rehabilitation provided by The Children’s Trust gives these children the best chance at recovery. They confront some of the biggest challenges of their lives, trying to relearn the basic skills they lost such as movement, communication and feeding themselves. The Children’s Trust wants you to take on a challenge, and raise money for children with brain injury live the best life possible. Whether it’s a sponsored swim, abseil, or something totally unique to you. Find your brave, visit www.mybrave.co.uk for inspiration.